Is Planet X the Sign of Jonah? Why did 120,000 people in Nineveh repent of their sins and turn to Yahweh for deliverance? Was Jonah an especially anointed preacher? Was it his words alone that brought about spiritual revival or was there a visible sign of coming destruction in the sky? Astronomer Gill Broussard believes that the 'Sign of Jonah' that Jesus spoke about was actually a 'heads up' sign in the sky - a near earth object (NEO) that is seven times the size of earth and that orbits our sun. Mr. Broussard believes that its approach was possibly accompanied by drought, weather changes and earthquakes or tremors (like we are seeing today.) 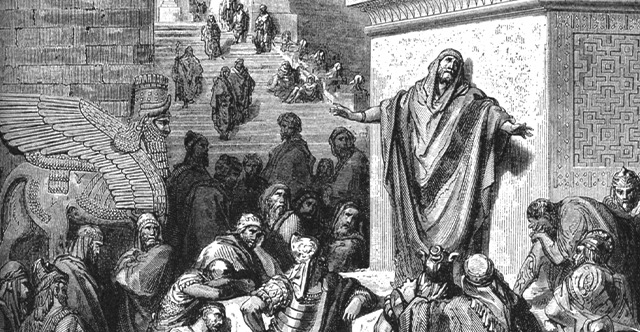 This would have set the stage for Jonah's audible preaching of God's judgment and the moving of the Spirit of God in the hearts of the Ninevites. Mr. Broussard calls this NEO 'Planet 7X'. Other people have called it Nibiru, the Fiery Dragon of Old, the Guest Star, Planet X (the tenth planet of our solar system) and Gabriel's Fist. Does the Bible tell of this NEO - both in the past and the future? Is so, it could be coming our way soon! And we need to prepare! YOU DECIDE! Throughout history, God has judged nations that have not believed in Him and have rebelled against Him. He typically warns nations in advance by giving signs in the heavens - so they can turn to Him, repent of their sins and be delivered from the coming destruction. Around the year 687 BC, Nineveh was the most powerful nation in the world, but they were wicked and violent. God was angry at the people of Nineveh because of their wickedness, yet He loved them, so he sent Jonah to warn them of coming destruction. Planet X Flyby During Jesus' Crucifixion? 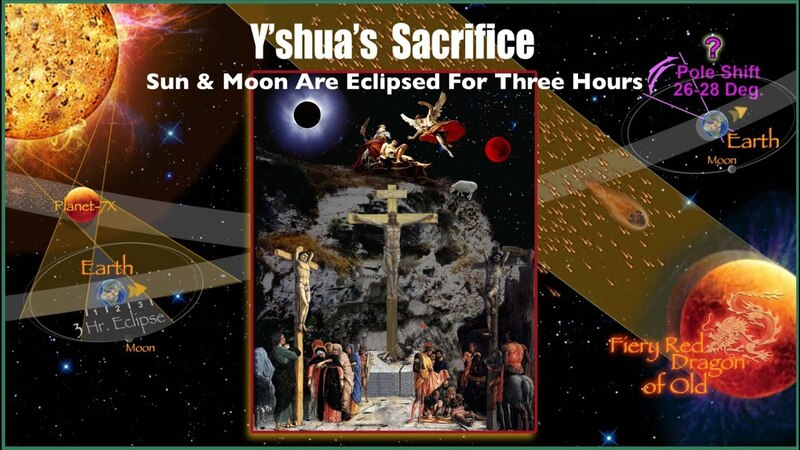 When Jesus was crucified, there was darkness over the land from around 12:00 noon until 3pm. Gill Broussard believes that this was a three hour solar eclipse caused by a Planet X flyby. He points out that it could not have been a normal solar eclipse, which only lasts for around 7 minutes. Note that signs in the heavens were also in the mind of Peter when he preached on Pentecost. Why else would he mention them? 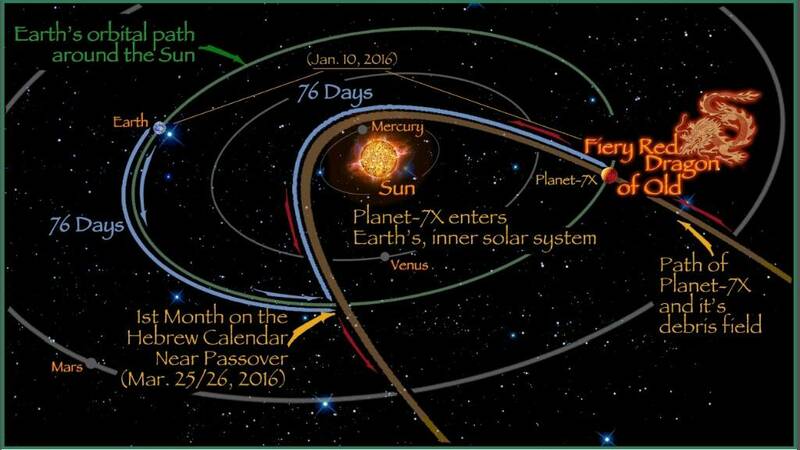 Another Planet X Flyby Prior to the Return of Jesus? Regardless of whether Gill Broussard is correct in linking these three events to Planet X / Nibiru, we should all heed the words of Jesus and His apostles. Steve Quayle and Bob Fletcher Nibiru Incoming! Nibiru and Dozens of Dead Astronomers - a Coincidence? The information in these articles is the responsibility of the authors, but all your decisions are your own responsibility. This page was last updated in October 2015.